On November 27, 2019, U.S. Senators Tom Udall (D-New Mexico) and notorious climate change denier Jim Inhofe (R-Oklahoma) introduced S. 3609, The Route 66 National Historic Trail Designation Act. 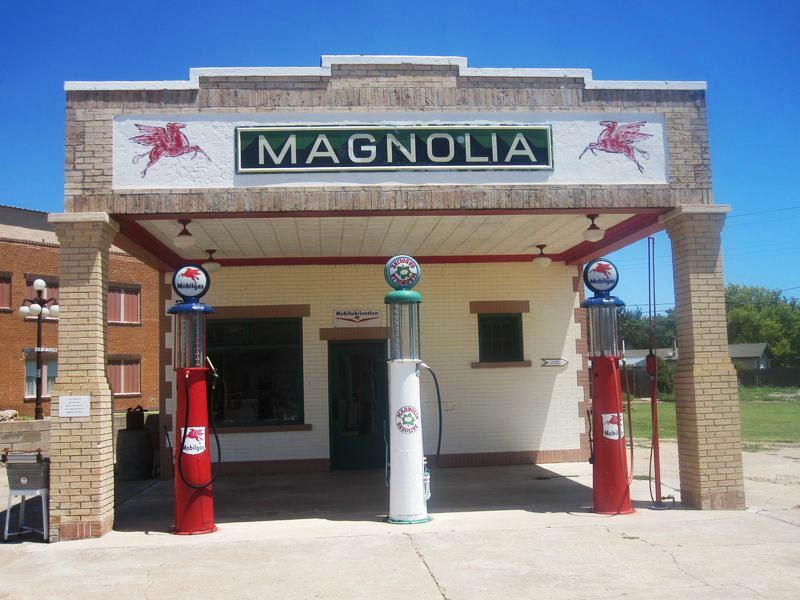 Restored Magnolia gas station museum on Route 66 in Shamrock, Texas. Photo by Billy Hathorn via Wikipedia. If passed, it would amend the National Trails System Act to designate Route 66 as a National Historic Trail, administered by the National Park Service (NPS). This, in turn, would likely lead to greatly-increased levels of historic building reuse and landscape restoration along the route, thus helping to revitalize many struggling, relatively isolated communities. Earlier, in June of 2018, the House of Representatives voted unanimously to pass the bipartisan legislation. “By designating Route 66 as a National Historic Trail, this legislation would revitalize cities, small towns and rural communities along the Route 66 corridor in New Mexico and across the country, bolstering local economies and protecting vibrant historic sites. 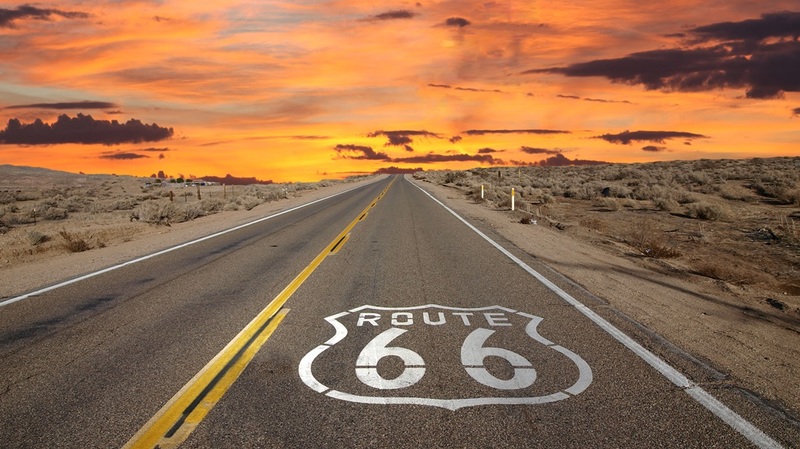 Just as importantly, this bill would safeguard Route 66 as cultural landmark, preserving its significance as the ‘Main Street of America’ for future generations of adventurers, migrants, hitchhikers, and tourists venturing westward,” he continued. 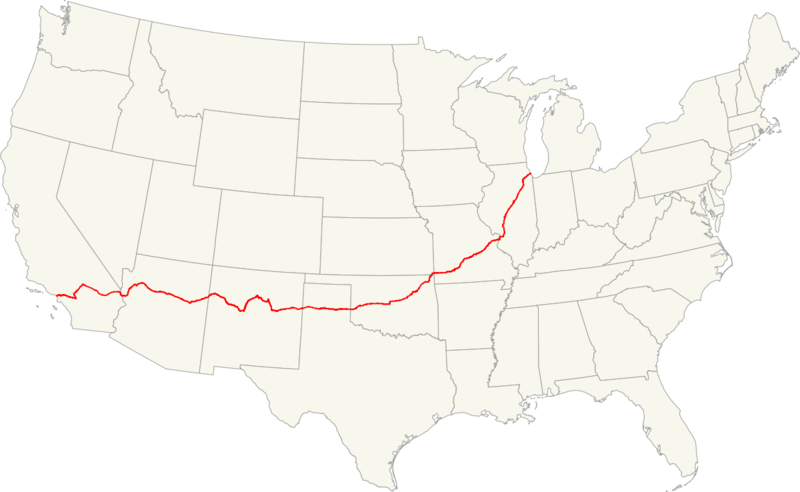 Route 66, also known as the Will Rogers Highway, is more than 2,400 miles long, stretching from Chicago, Illinois to Santa Monica, California, and crossing through 8 states. In New Mexico, the Route 66 corridor serves 492,000 people and runs 380 miles long, connecting urban centers like Albuquerque with rural communities like Gallup and Tucumcari. In Oklahoma, Route 66 runs for over 400 miles through Tulsa and Oklahoma City and includes the longest drivable stretch of America’s Main Street. See Historic Route 66 website.